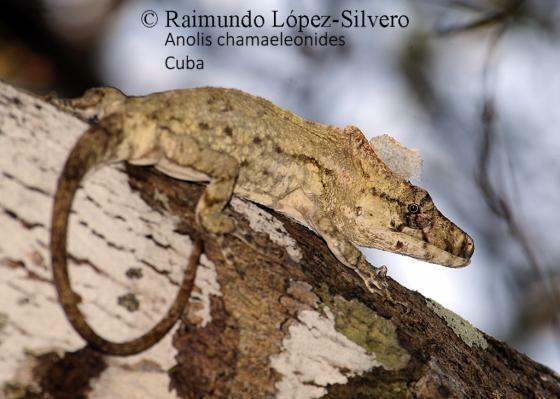 Can you confirm these amateur observations of Anolis chamaeleonides? 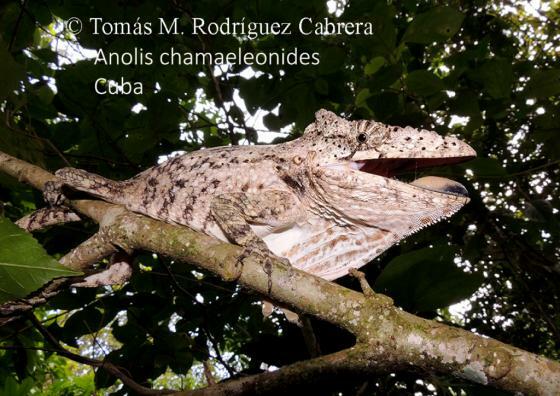 Type locality: Cuba; restricted by Garrido and Schwartz, 1968 a, to vicinity of La Habana, La Habana Province, Cuba. 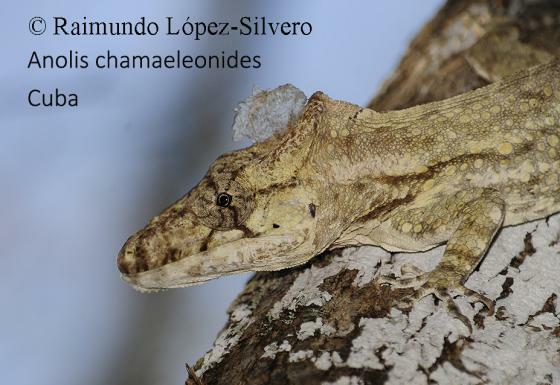 Comment Synonymy: The genus Chamaeleolis was synonymized within Anolis by Hass et al. (1993). 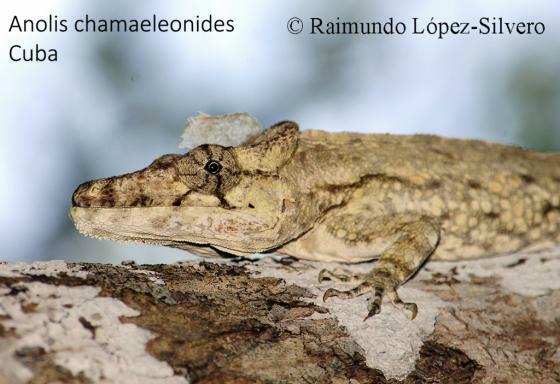 Chamaeolis recently was proposed as the correct spelling of the generic name for this taxon (Frost and Etheridge, 1989), however, this spelling previously was investigated and was found to be incorrect (Garrido and Schwartz, 1968). Species group: Xiphosurus chamaeleonides species group (fide NICHOLSON et al. 2012).